Asset Managers wishing to establish a Unit Trust or Common Contractual Fund (CCF) require an approved management company. 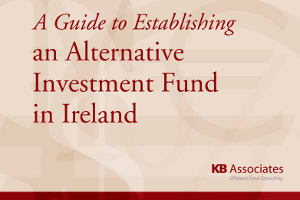 Asset Managers wishing to establish an Irish Collective Asset Management Vehicle (ICAV) may utilise a self-managed structure or a structure with a management company. 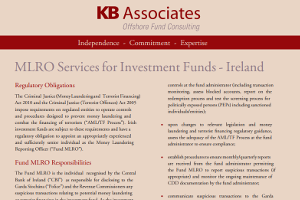 The management company is authorised by the Central Bank of Ireland to support both UCITS and AIFMD compliant funds. It allows asset managers to establish funds without incurring the costs of incorporating and operating a proprietary management company. It also significantly reduces the time commitment and administrative burden placed on asset managers. 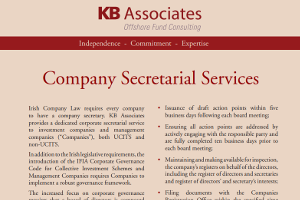 Why Appoint KB Associates’ management company? 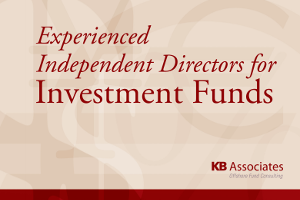 KB Associates has proven risk, investment management and operations expertise across a wide range of asset classes. 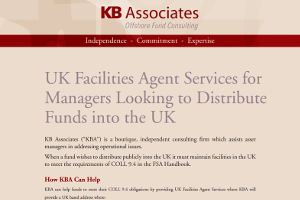 KB Associates enables asset managers to avoid the costs of establishing and operating a proprietary management company while simultaneously minimising risk. 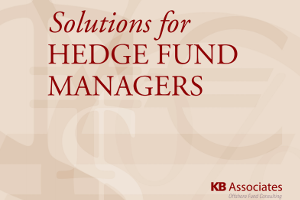 KB Associates offers its services only to asset managers and investment funds, never to administrators/depositaries. 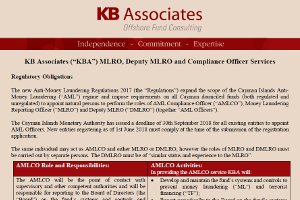 This ensures that oversight of the activities of service providers by the management company is free from the conflicts of interest that inevitably arise where a firm is providing services not just to asset managers but also to the administrator/depositary community. This true independence is a key feature of the management company. 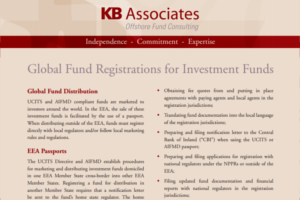 The authorisation process for funds utilising the management company is swift. 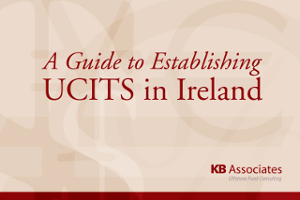 The management company’s AIFMD programme of activity and UCITS business plan are each pre-approved by the Central Bank of Ireland. 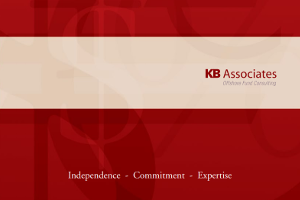 KB Associates’ core business is the provision of management company and related services. 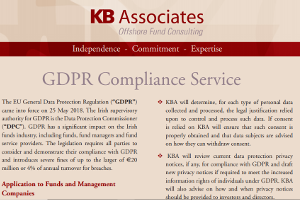 All directors and shareholders of KB Associates are actively involved in delivering these services to our clients. A management company must itself meet certain capital, governance, regulatory and legal obligations. It must also supervise the performance of those entities servicing the funds it manages. Annual reports detailing on-site visits to service providers. 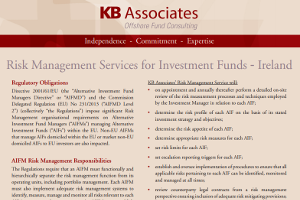 AIFMD places particular emphasis on the risk and investment/portfolio management functions. Each Alternative Investment Fund Manager (“AIFM”) must retain responsibility for a significant element of portfolio management and/or risk management. The on-going monitoring of compliance with the established risk limits for each fund. Monitoring includes receipt of reports from the investment manager and independent risk monitoring by the management company using data sourced directly from the independent administrator/depositary.